STCU announced Monday that it will open branch locations in Pasco, Kennewick and Richland in 2018 and 2019. It is the first expansion outside the Spokane-North Idaho market for STCU, which has been voted 'best credit union' in the Spokane area for 12 consecutive years. Last week, the credit union finalized the purchase of a 1.5-acre site for a Kennewick branch location at 4842 W. Hildebrand Blvd. Plans call for a 4,500-square-foot branch location with STCU Home Loans offices, a drive-through, and 24-hour ATMs. Designed by ALSC Architects, the location will have water-efficient xeriscape landscaping. The Kennewick branch location will open this year. In addition, STCU plans to build branches in Pasco and Richland, with one opening in 2018 and the other in 2019. Locations have not yet been announced. STCU also has ATMs in Richland and Kennewick Target stores. STCU is a not-for-profit financial cooperative with 175,000 members and $2.7 billion in total assets. The Northwest's third-largest credit union (and the largest headquartered east of the Cascades), STCU offers a full array of credit cards, loans and savings accounts for consumers and businesses. It is the leading provider of home and auto loans in Spokane. STCU staffs each branch location with about six employees, and will be hiring from the Tri-Cities area. STCU employees get paid time off for volunteerism and full benefits, including a generous tuition reimbursement program. The long awaited Ridpath Club Apartments are now available for lease and tenants can move in as early as next month. All 206 of the hotel rooms that were in the historic Ridpath Hotel have been fully renovated and are ready for tenants. 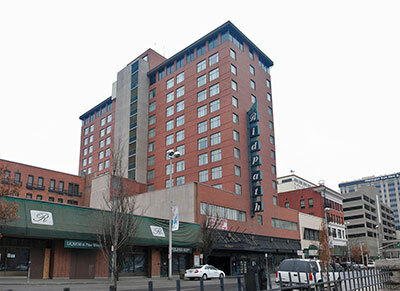 The Ridpath Club Apartments include micro apartments, studios, and one bedroom apartments each with fabulous views of the Spokane area. Affordable housing apartments offering restricted rents based on income limits make up 80 percent of the units. Renters who qualify for the 'affordable' rate category could lease a micro unit, or a studio apartment, for under $700 a month. The Ridpath Club Apartments will also feature community gathering spaces, a mezzanine and lounge area, a high tech laundry center. The new restaurant and bar inside the building, being developed by Spokane restaurateurs Jeremy and Kate Hansen, has been delayed by construction and other issues and will likely open in June. Ridpath Brasserie plans to serve a French-inspired menu, including breakfast, lunch and dinner, which will be available to order from anytime during its planned 20-hour operating schedule, from 7am to 3am. Get more information at their website liveatridpath.com, on their facebook page, or by contacting the leasing agent NAI Black at ridpathleasing@naiblack.com or 509-624-1178. Carters children's clothing retailer acquired Oshkosh B'gosh, a competing children's clothing store chain in February of this year. A new dual branded store, Carter's/Oshkosh B'gosh, recently opened in a 5,000-square-foot space on the first floor of the Spokane Valley Mall. They sell a wide range of popular children, babies and toddler clothing brands. This is Oshkosh B'gosh's first presence in Spokane, while Carter's already has a store at Northtown Square, across from Northtown Mall. Spokane-based Numerica Credit Union has merged with Monad Federal Credit Union, with 1 branch office in Pasco. The merger adds $14.8 million and approximately 2,500 members to Numerica's $2 billion in assets, 135,000 members and 20 branches. Monad Federal Credit Union was organized and chartered in 1955 by a group of individuals employed by the Northern Pacific Railway. Spokane International Airport has experienced an incredible expansion of new nonstop destinations and growth in available seats. In addition, the airlines are predicting a record high spring travel season. Accordingly, TSA has responded by opening the passenger security screening checkpoints 30 minutes earlier at 4am from 4:30am to accommodate the increase in passenger demand. TSA is also paying overtime to ensure staffing levels at the Airport's two peak times (5am–7am and 11am-1pm). TSA and the Airport want travelers to know that TSA PreCheck enrollees are still being processed through the TSA PreCheck lane, however, given the significant increase in demand, the lines beyond the ticket document check stations will be integrated lines in order to achieve maximum throughput at peak hours. TSA PreCheck enrollees can still leave on their shoes and light jackets but will need to submit all electronics larger than smart phone as well as liquid, gels and lotions for screening. The Airport is working with the TSA to expedite the installation of one additional screening lane at the A/B and C Terminals and the TSA has agreed to provide the corresponding equipment and staffing. The goal is to have the new lanes operational by June 1. Travelers are requested to arrive a minimum of 90 minutes ahead of their scheduled boarding time in order to allow for the increased time that it is taking to complete the screening process. 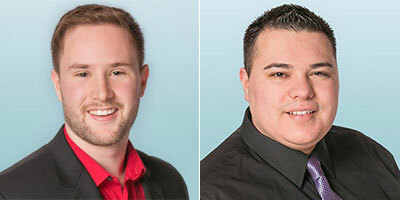 Universal Funding recently announced that Colin Lloyd and Manuel Arroyo have joined its team as underwriters. In their role as underwriter, Lloyd and Arroyo work closely with potential clients ensuring accurate documentation is collected and that the underwriting process goes smoothly and efficiently. Lloyd has a Bachelor of Arts in Business Administration with a minor in Economics from Washington State University. He previously worked for Washington Trust Bank in the Small Business Administration department. Arroyo has a Bachelor of Arts in Professional Accounting with a minor in Spanish from Eastern Washington University. His prior professional experience includes work as a bookkeeper and commercial bank teller. 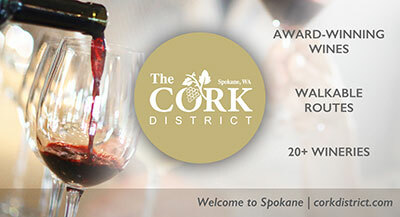 Raising critical funds benefiting over 13,000 women and children impacted by domestic violence, homelessness, and unemployment this year, YWCA Spokane asks the Spokane community to join them at their 13th annual Spring Fling champagne brunch and silent auction fundraiser, held Saturday, April 7 at Anthony's at the Falls, 510 N Lincoln, from 10am-12:30pm. 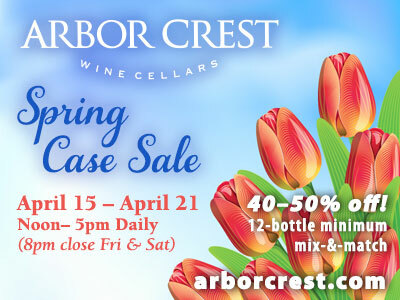 Funds raised are for the YWCA Spokane's vital programs and services. Tickets are available at ywcaspokane.org or by calling 509-789-9305. Pre-registration is required, due to limited seating. Spokane Public Radio and City Cable 5 will present a free public forum, Living in the Health Care Maze, this Tuesday, March 20, from 6:30-8:30pm. SPR's Steve Jackson will moderate a discussion with a panel of health and government experts. They will explore the Affordable Care Act, how the health care maze affects the average consumer, how hospitals and clinics are dealing with changes, the Medicaid gap in Idaho, Medicare options, and much more. The forum will be held at the Spokane City Council Chambers, 808 West Spokane Falls Blvd. For more information, visit spokanepublicradio.org. Each year, Executive Women International (EWI) of Spokane honors two of its members - Most Valuable New Player of the Year and Representative of the Year. These awards recognize the representatives who exemplify EWI's core mission of advancing connections, careers and community. Nominations for both awards are solicited from peers within EWI membership. The Most Valuable New Player of the Year award was given to Mary Farnsworth of Melaleuca. Mary's contributions to the Chapter included serving on the board of directors as assistant fundraising director, playing an active role on the recruitment and retention committee, and facilitating a successful flower sale fundraiser for EWI's fundraising committee. The Representative of the Year was awarded to Gwen Marlow of Contract Design Associates. Gwen has led EWI's Recruitment and Retention committee, resulting in significant growth of the EWI Chapter in the past year. Her personal recruitment efforts of inviting guests and connecting new members with mentors has made her the go-to person for EWI membership. She also participated on the fundraising committee, playing a major part in the success of the Denim & Diamonds fundraiser last year. Both recipients received a paid scholarship to EWI's national Leadership Conference & Annual Meeting. Lone Wolf Harley-Davidson has earned the prestigious Gold Bar & Shield Circle of Excellence Award for 2017. Presented by Harley-Davidson Motor Company, this award is given to the top four dealerships in the U.S. Sales Market. Lone Wolf Harley-Davidson has earned the award based on motorcycle and related product sales performance, customer service and satisfaction, and operational measures. 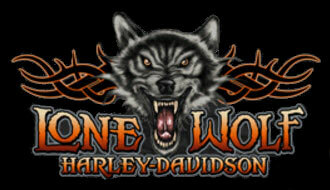 Lone Wolf Harley-Davidson, 19011 E. Cataldo Avenue in Spokane Valley, has been in business since 2008. As the direct result of their outstanding customer service, Lone Wolf Harley-Davidson has earned a Bar & Shield Award every year they have been in existence. Healing Spokane is a group of passionate healthcare professionals joining forces to bring 5 different viewpoints while finding common ground and putting it all together. An informative discussion on using a collaborative approach to treating ADHD will be held Wednesday, March 28 from 6-7:30pm at the WSU Spokane Campus, 668 N Riverpoint Blvd-EWU Center Building, Auditorium Room 122. Moderator if Renu Sinha, MD. This event is free and open to the public. For more information, visit healingspokane.org.